In 2005, Ang Lee’s Brokeback Mountain caught America by surprise. Its soaringly elegiac adaptation of Annie Proulx’s acclaimed short story about two Wyoming cowboys who fall in love was heralded as a landmark film. Entertainment Weekly named it “that rare thing, a big Hollywood weeper with a beautiful ache at its center…[and] a modern-age Western that turns into a quietly revolutionary love story.” Over the years, the film has become the gold standard for LGBTQ+ cinema, opening up a cultural space for so many other movies, like Joel Edgerton’s Boy Erased, which explore universal themes that intersect with gay lives. 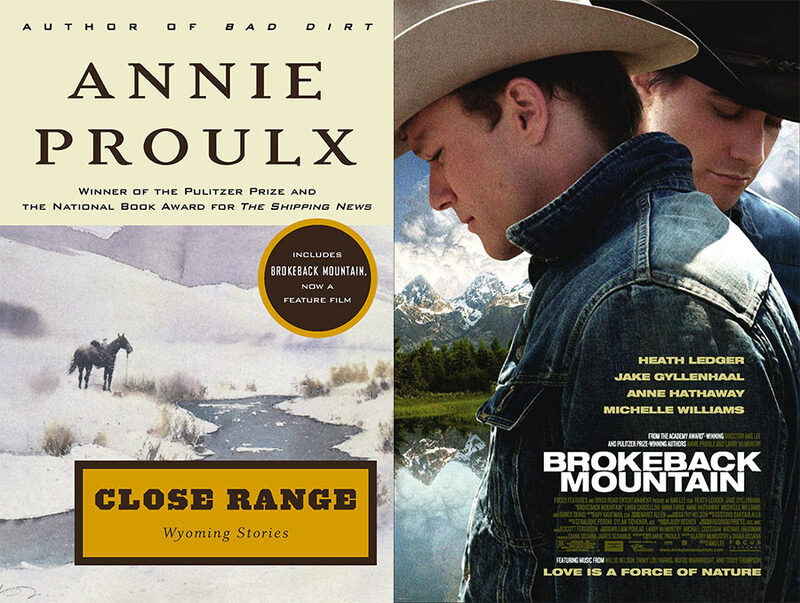 For LGBTQ History Month this October, we’re adding Brokeback Mountain to our #FocusBookClub. Read Annie Proulx’s tough and tender tale of love, then see Ang Lee’s magnificent movie, and be sure to tell us what you think on social with #FocusBookClub. Producer James Schamus talks about the making of Brokeback Mountain. After reading Proulx’s tale in The New Yorker, Diana Ossana knew “this was a masterpiece of a short story, with the potential to touch many, many people.” She and her co-writer Larry McMurtry (a Pulitzer Prize winner in his own right) crafted an elegant screenplay that brought Proulx’s rugged spirit to the screen. After going through several directors and pairings for Ennis and Jack, producer (and former Focus CEO) James Schamus brought the story to Ang Lee. “I grew up in Taiwan, so nothing is more remote to me than gay cowboys in Wyoming,” Lee recalls. “But the story just refused to leave me.” After getting financing for the “gay cowboy” movie that everyone said “no” to, Lee created one of the great love stories of all time. It came in #4—after Gone With The Wind and Casablanca—on E! Online’s list of “The 10 Best Romance Movies.” The film was nominated for eight Academy Awards®, winning three, including Best Director for Lee and Best Adapted Screenplay for Ossana and McMurtry. Ennis and Jack's lives are framed by the mountains around them. Alma (Michelle Williams) dramatizes the female perspective in Brokeback Mountain. Brokeback Mountain had a lasting impact on the American conversation about LGBTQ+ lives.